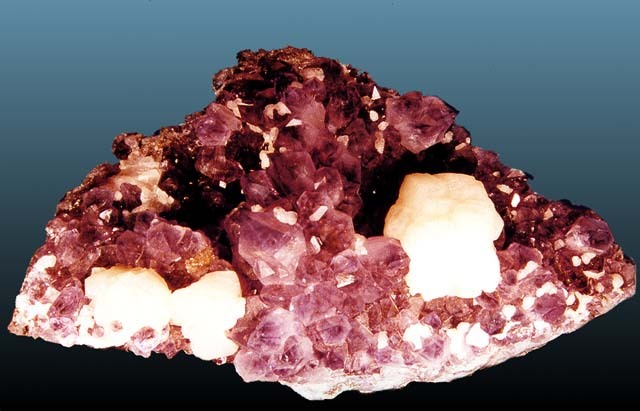 Comments: Purple-colored druse of amethystine quartz and white calcite. Location: Rio Grande do Sul, Brazil. Scale: Sample size 20 cm.